What words come to mind when you think of a freshly-shaven face? Perhaps “suave”, “smooth” or “cool”? That’s certainly the impression that a man’s face, shorn of all traces of beard, can give – but the effect is easily ruined by sore, irritated, red skin. Technology is an amazing thing – first it gave us the electric shaver; now it’s made possible an electric shaver which actually reduces skin irritation by cooling the skin, and a bunch of other cool features! 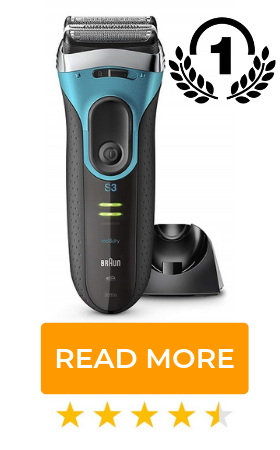 The first Braun shaver designed especially for men with sensitive skin. 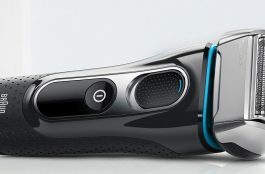 The first shaver in the world to utilize active cooling technology. 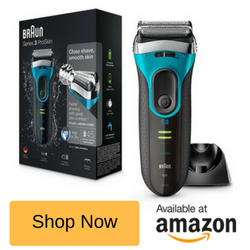 Uses special SensoBlades to provide the smoothest shave. Revolutionary Clean & Charge Station automatically cleans, charges and lubricates. Close smooth shave with less pressure and fewer strokes. LED battery status, cleaning indicator and travel lock indicator. Braun is well-regarded as a leader in the design and manufacture of innovative grooming products. They were the first to bring to market an alcohol-based shaver cleaning centre. 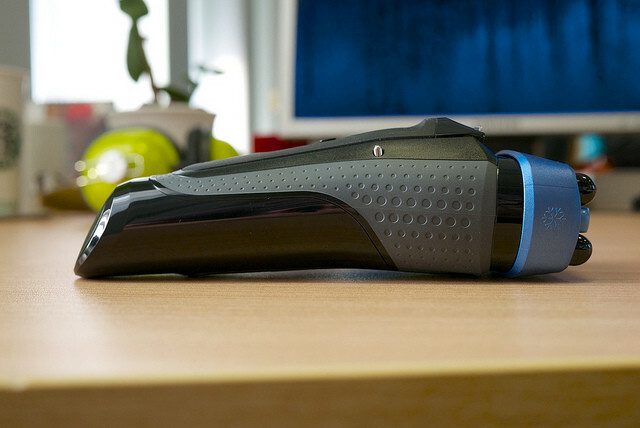 Now they’re delivering another world-first: an electric shaver that keeps your skin cool. You can rest assured that the CoolTec CT2cc is a high quality grooming tool – like all Braun’s premium foil shavers, it’s designed, engineered and built entirely in Germany, and tested to provide a minimum of 7 years of trouble-free operation. Electric shavers can irritate the skin. Braun’s new CoolTec CT2cc counteracts the problem of irritation in a revolutionary way. Its secret is Thermo-Electric-Cooling (TEC) technology. 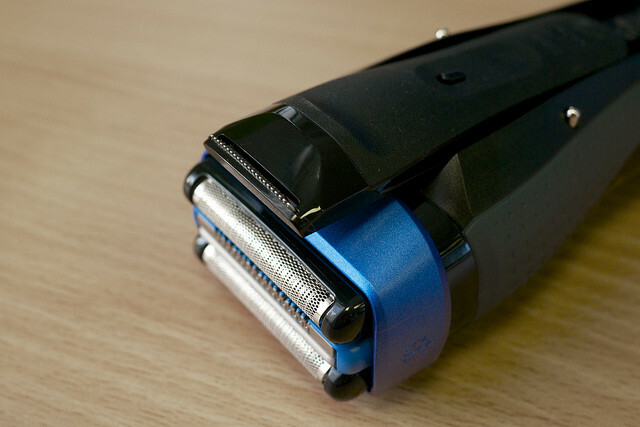 Electric shavers contain small but powerful motors which cause blades to rotate or oscillate. These rapid movements can result in significant heat buildup. Braun’s TEC functions in a manner similar to that of the metal “heat sinks” found on computer components. The CoolTec CT2cc features an integrated aluminum cooling bar, which actively cools the skin whilst shaving, significantly reducing redness, soreness and other signs of irritation. TEC requires neither gel nor lotion to function – in fact, it is recommended to not use any such product, in order to avoid creating a thermal barrier which could interfere with the cooling action. The Automatic Clean & Charge Station included with the CoolTec Electric Shaver uses alcohol-based cleaning fluid and a four-action system to automatically charge, clean and lubricate the shaver. All it takes is the push of a single button. By keeping your shaver clean and properly lubricated, you prolong its life and keep the blades cutting like new. Though this shaver can be rinsed clean under running water – which is quick and convenient – tests reveal that using the Clean & Charge Station is ten times more hygienic. According to consumer research, using Braun’s cleaning and charging system results in a noticeably closer shave and improved skin comfort. These results are backed up by dermatological testing and accreditation by the Skin Health Alliance. The cleaning procedure needn’t be done every day – Braun recommends it be run twice weekly, which means you’ll only have to replace the refill cartridge every 2 to 3 months. 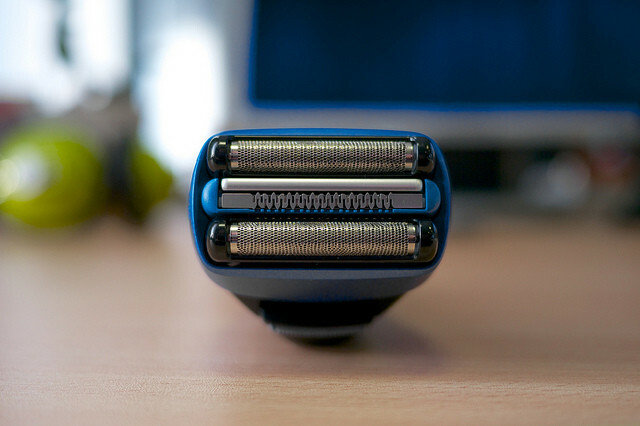 Close, Comfortable Shaves – Every Time! The CoolTec features an adaptable 3-stage cutting system. Two independent cutting elements trace the contours of your face, moving over your cheeks, along your jaw and under your neckline, providing the closest possible shave. Complementing the advanced cutting system are the blades themselves – they’re specially designed using Senso Blade technology that captures and cuts hair growing in different directions – even longer the longer facial hairs that other electric shavers struggle with. As previously discussed, the included Automatic Clean & Charge Station is the most thorough, hygienic way to clean the CoolTec shaver, but its design (waterproof to 5 metres) means you can also rinse the head off under running water without any worries. The CoolTec was intended for Wet & Dry operation – you can safely use it in the shower. You need your shaver to be ready when you are. That’s why Braun chose to use a powerful, rechargeable lithium ion battery. 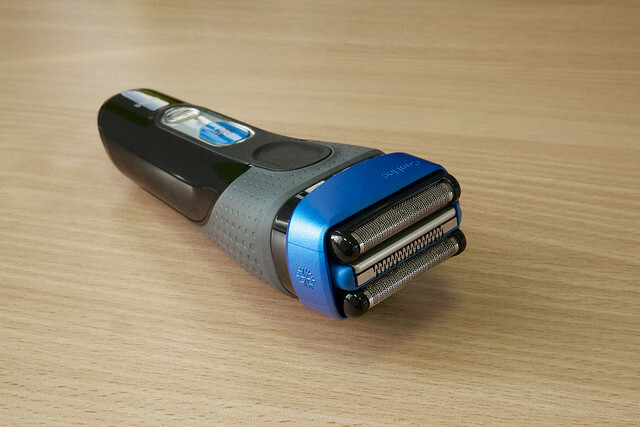 The battery recharges in just one hour and if you’ve let the battery run down, a 5-minute quick-charge will provide enough power for one full shave. 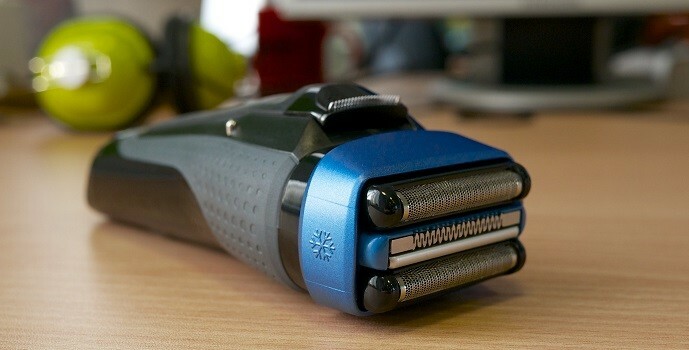 A fully-charged battery gives up to 45 minutes of shaving time. 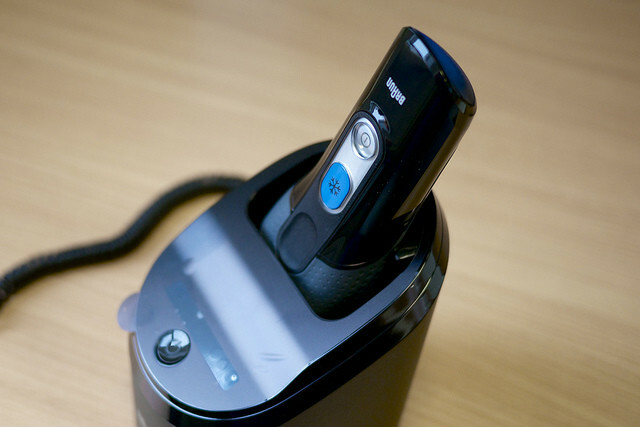 It’s not often that the inclusion of a new technology improves an electric shaver. 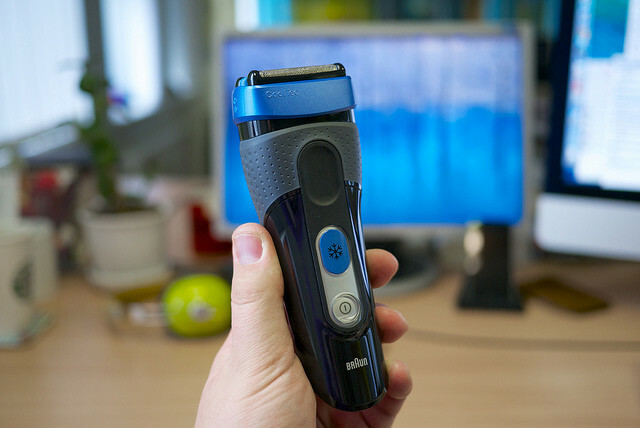 Often, the result is “gimmicky” – but in the case of the Braun CoolTec CT2cc, quite the opposite is true, which can be found by reading through reviews on this shaver. The integrated cooling feature really does work – and if you shave every day, it could make the difference between looking fresh-faced or not.